First, the Taj Mahal lives up to the hype and expectations. Perhaps, after thorough disappointment at the Pyramids, I set my expectations too low. I also visited later in the day. Most touts retreat after making their daily livelihood and I did not have a single person offer me services as an "official" guide. Entry lines weren't too long (it took less than ten minutes to pass through security) and the crowds inside were tolerable. Second, Fatehpur Sikri, which served as the Mughal Empire from 1571 to 1585, has enough substance to visit via a half day tour from Agra. 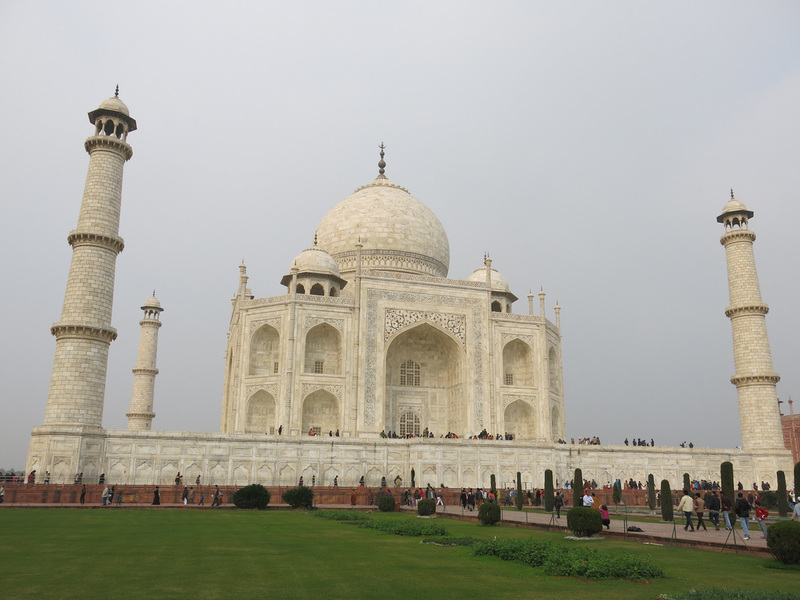 Thus visiting Agra should not be viewed as a Delhi day trip, unless you are short on time, on a packaged tour, or have been in India for over three months already and tired of the traditional sites. 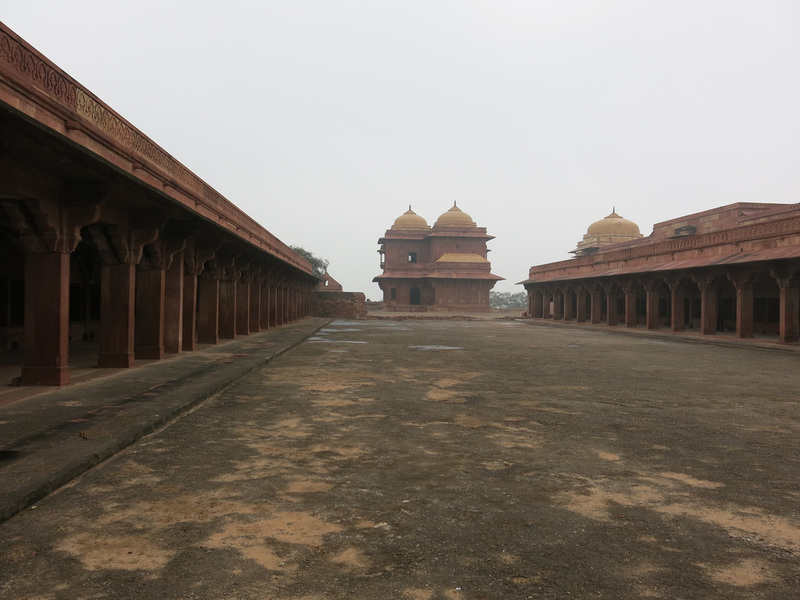 Fatehpur Sikri is about an hour bus ride away. 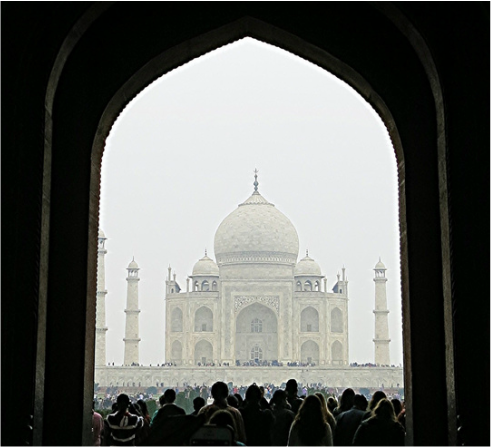 Agra's drawback is that despite having the singularly greatest man-made structure in the world, the surrounding town has not really capitalized by offering better dining options. Within Taj Ganj, the warren of streets surrounding the Taj Mahal, there's few options. On the plus side most have rooftops offering Taj views. Tuk tuks and cycle rickshaws visitors to hotels where they receive a commission. Either have GPS, to walk on your own, or arrange for transportation through the hotel. The Mughals were builders of Forts, Palaces, and Temples. Emperor Shah Jahan oversaw the construction of Delhi's Red Fort and Jama Masjid, Agra Fort, and most notably, the Taj Mahal, a mausoleum for his third wife Mumtaz Mahal. Mumtaz Mahal, which translates as "The Chosen One of the Palace", combined beauty, brains, humility, grace, and compassion better than any Mughal Queen before her (or at least better than wives one and two). When she died, during giving birth to the couple's fourteenth child in nineteen year of marriage, Shah Jahan mourned for a year, then decided to honor Mumtaz with the Taj. Completed in 1653, it took over 20,000 artists and craftsmen twenty-two years to construct the complex. 1,000 elephants help transport building materials from across India and Asia - the iconic white marble arrived from Rajasthan. 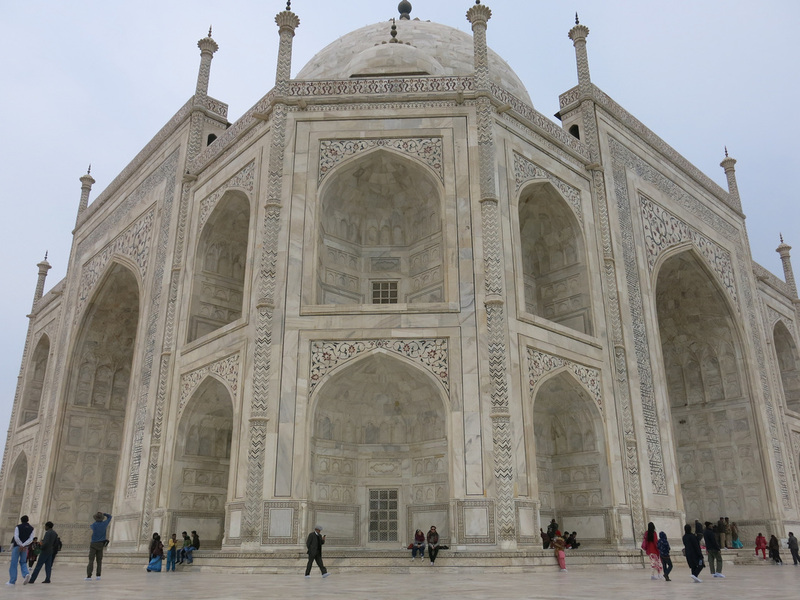 Once finished Mumtaz Mahal's cenotaph was placed in the center where it remains for visitors to see today. The best way to learn the Taj Mahal background during a visit is to download the official iTunes guide. The guide includes a map and suggested route with key sites numbered. 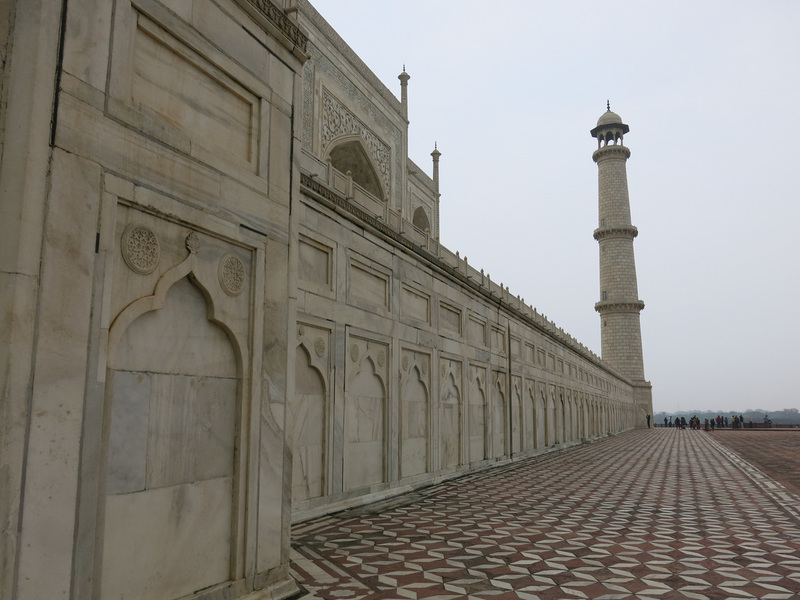 The guide explains why the minarets are angled outwards (visual aesthetics and they'd fall outward in the event of an earthquake) and other details. The iTunes guide also helps to create a more leisurely pace to the experience. The surrounding gardens provide benches to stop and continue to stare in awe at the beautiful building before you. It's just you and the Taj. Shah Jahan and Mumtaz Mahal. 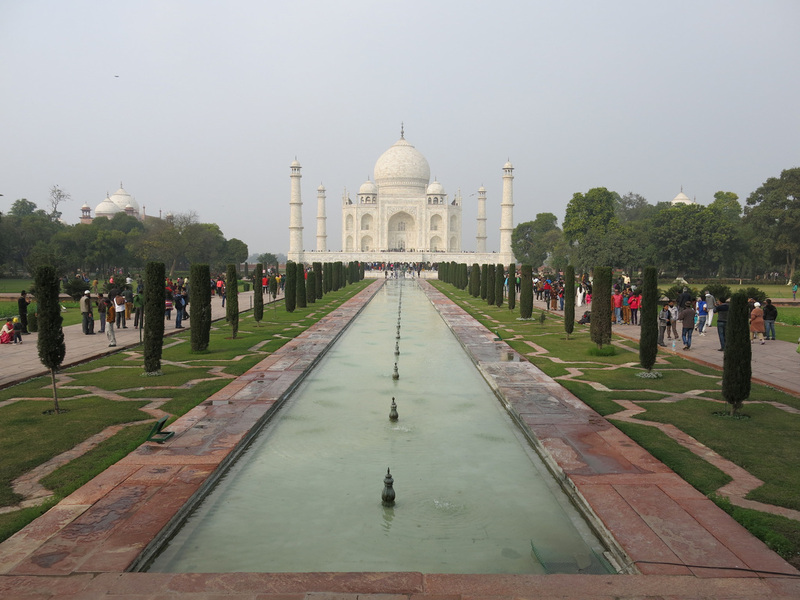 The Taj's gardens and landscapes also do an effective job of blocking crowds from appearing in photos. 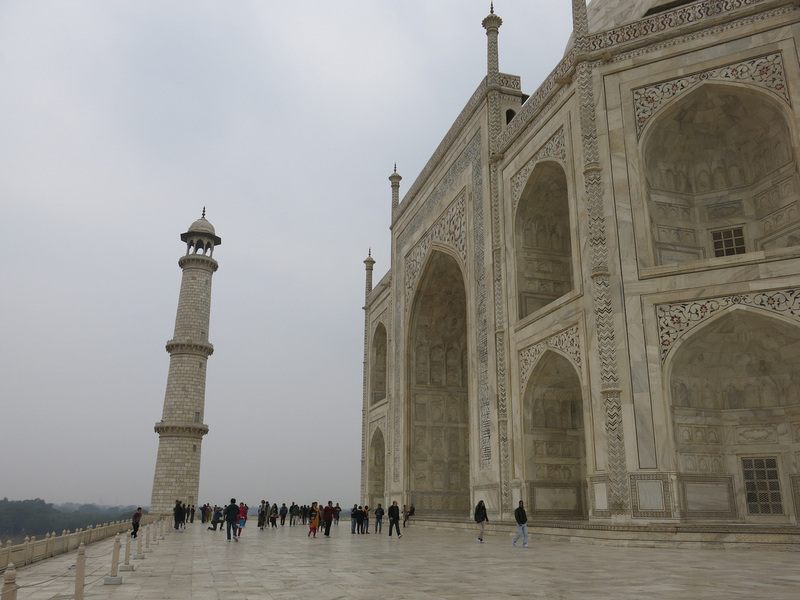 After walking through the gardens and taking 1,000s of photos, I accessed the Taj Mahal. Shoe coverings are provided so that dirt and debris are not tracked through Mumtaz Mahal's grave. The Taj retains its sense of grandeur. The Taj is such a simple design. It's just an octagon with a dome on top. Yet this simplicity seems to accentuate the tomb's beauty, not hinder it. An up close view reveals intricate designs of flowers and Quran verses that have been built into the outer walls. 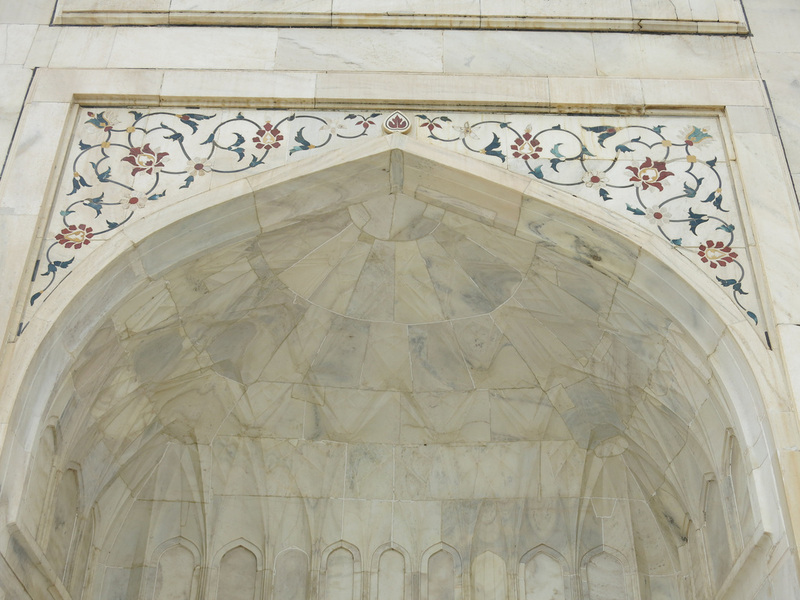 These inlays of color enhance the Taj's elegance. Purchase your tickets early in the morning, even if you do not plan to visit until the afternoon. The Taj faces slightly to the west so the afternoon provides better a better photography environment. Be sure to check the daily weather. Less than two miles away, upstream along the Yamuna River from the Taj, sits Agra Fort. The Fort has seen it's fair share of military action. 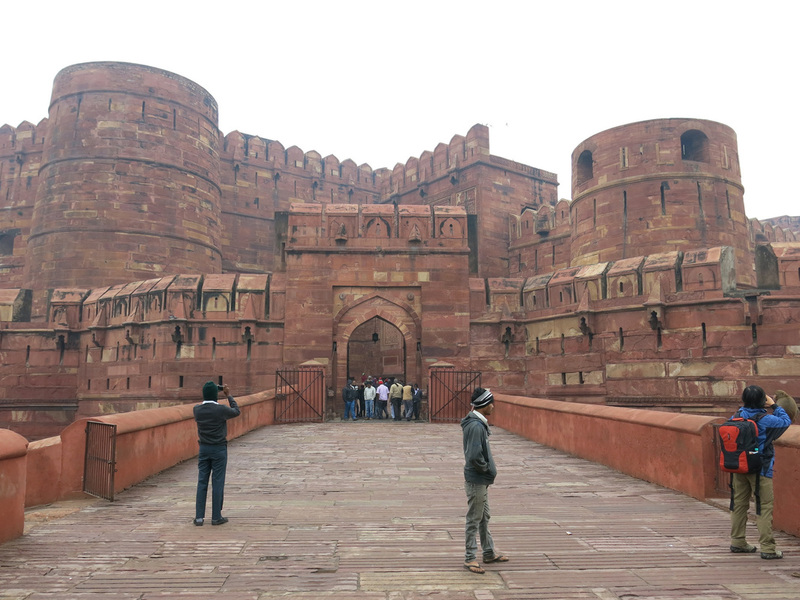 After capturing the fort in 1526, the Mughals rebuilt the fort using red sandstone. 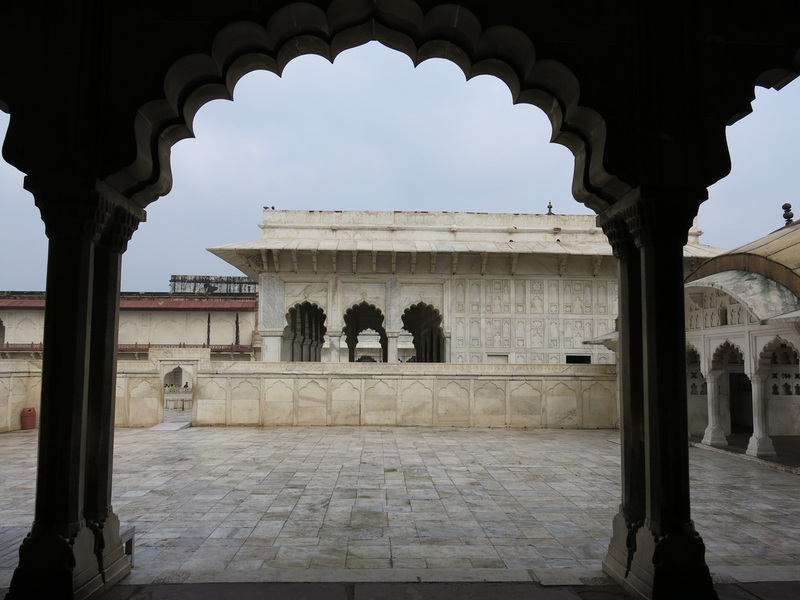 During Shah Jahan's rule palaces and courts were added to the interior. The Mughal's eventually fell to the Marathas, who while a dominant power, struggled to keep the fort in their possession, eventually losing it to the British in 1803. Reflecting the combat legacy, the Indian military still utilizes most of the fort today - only about a third of the Fort's space is open to tourists. The remainder remains closed for military operations because obviously an elephant invasion could occur at any time. Despite potential complications in reaching Fatephur Sikri (see Travel Adventures entry), it's worth the effort as the turns out to be a pretty good spot. 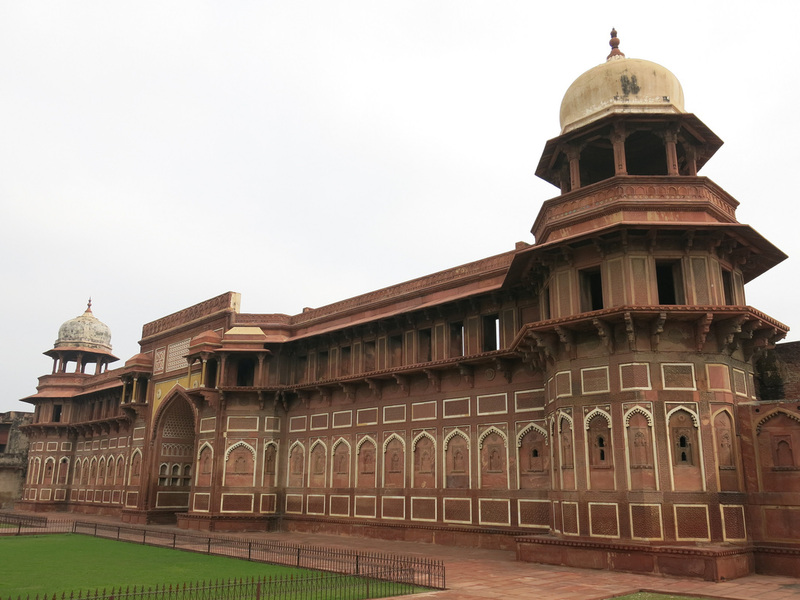 Like Agra Fort it’s well preserved - there’s a fort, palace, and a wide, open courtyard area. "Guides" are available but the site is pretty easy to navigate on your own. Traveling back to Agra can be a bit of an issue too. 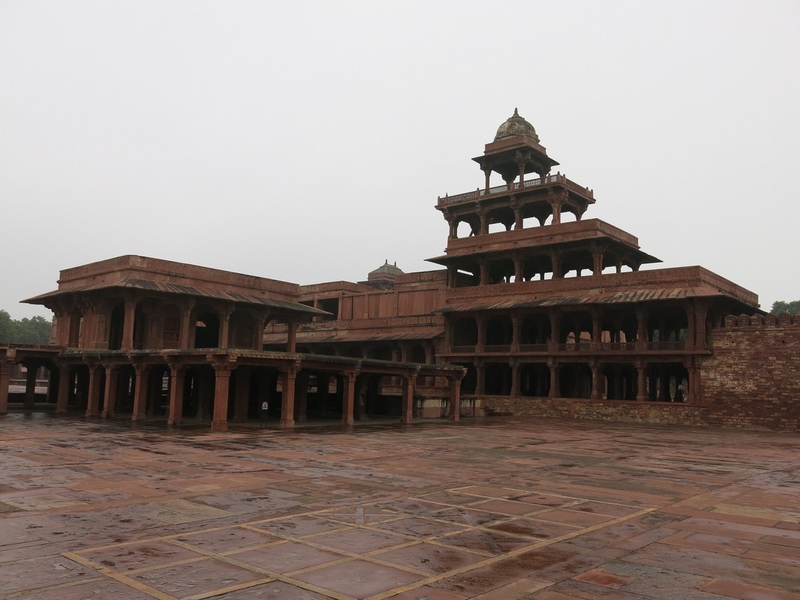 Even though you will probably spend more time in transit, Fatephur Sikri is still a good half day trip from Agra. If you decide to visit Fatehpur Sikri take a bus. DO NOT TAKE A TRAIN - see below for an explanation why. 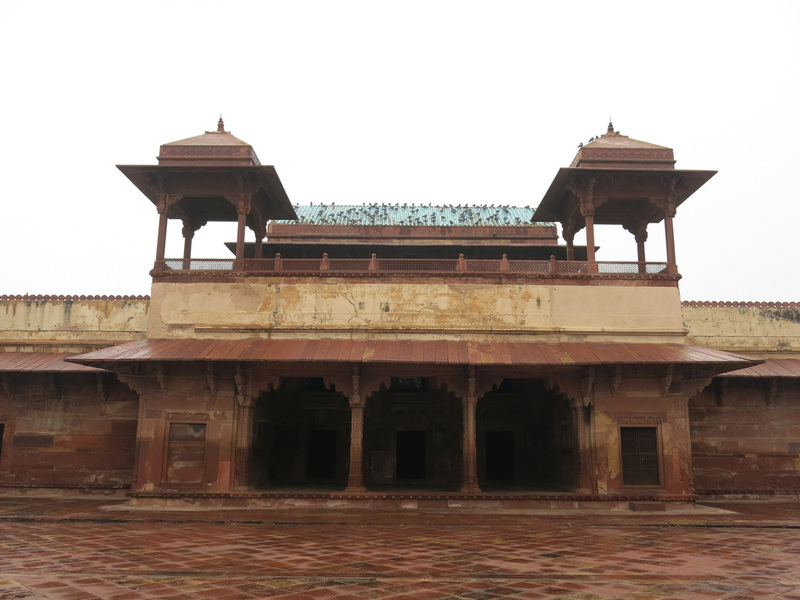 For additional Agra and Fatehpur Sikri photos see FLICKR ALBUM. Indian's do not ride on top of trains - they jump in and out of them. There are things I do in the US that were unusual…to extend a vacation and save a night on a hotel I’ve crashed at an airport (it always backfires because at small airports security will kick you out to the ticketing area) - unusual but not necessarily crazy. In India proposing to spend a night at a train station (the Indian equivalent to an airport) the idea crosses over from unusual to ludicrous. I was brandished an absolutely crazy person by the rickshaw drivers offering rides to their commission affiliated hotel. Although by my standards spending the night at a train station seemed reasonable - arrive in Agra Cantonment at one am, take a rickshaw to Agra Fort, then catch a train to Fatephur Sikri at 5 am - done, all tickets booked online in advance - I’m set. Four hours in a train, I can easily handle that. 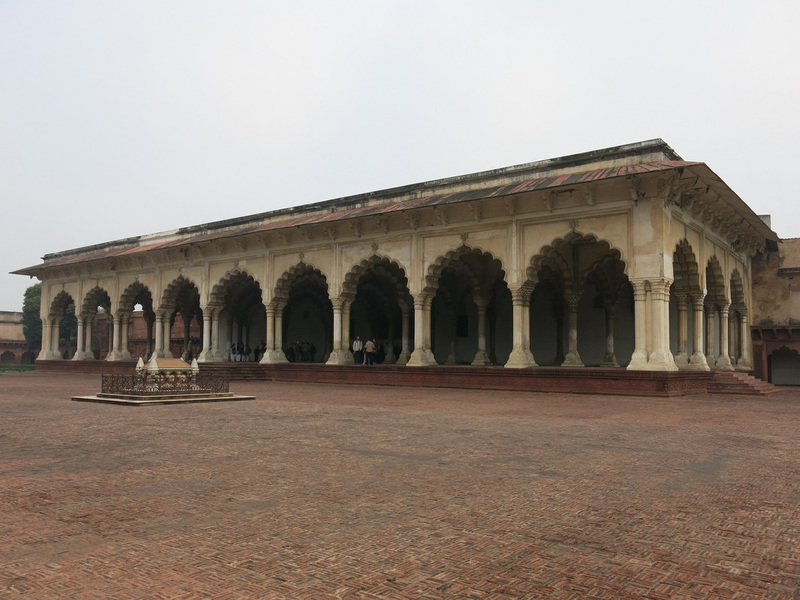 Upon arrival at Agra Cantonment I quickly dismissed the rickshaw driver who told me my train out of Agra Fort was delayed an hour and his hotel offer - full rate for five hours - no thanks, I’ll hang out at the station, grab a bite to eat, then head to Agra Fort. Around three am I walk outside the station and I kid you not, the same autorickshaw driver is waiting for me…and now he tells me my train has been delayed two hours. He makes a similar offer to take me to a hotel. I refuse and settling on just a ride fare he takes me to Agra Fort. Agra Fort is a decidedly step down from Agra Cantonment station. In January Agra is incredibly cold - people are setting up makeshift fires on the platform to keep warm. I snuck into the “upper” class waiting room and found a small nook in the back to rest. I though four more hours, that’s the original time I planned, by six the sun will rise, so really it’s only about three hours I need to spend here in the freezing cold. The next three hours were uneventful - some waiting passengers found the nook and joined me, otherwise it was quiet. Other passengers started to arrive and they informed me of a local train that goes to Fatehpur Sikri every half hour. The local train to Fatehpur Sikri is about twenty five rupee ($0.50 USD) - so I decided to eat the original ticket fare and catch a local train. When the next local train arrived I saw the conductor and explained my situation. He looked at the train schedule above, looked at my ticket (which I should not have had out), and said - “you already have a ticket for a train arriving in fifteen minutes” - “yes but this train has been delayed half an hour every half an hour” - “you already have a ticket for a train arriving in fifteen minutes” - this exchange continued until I resigned to wait for the next train out of fear - I worried if I boarded the train, transit police would be called and I be stuck having the same circle conversation this time from a jail cell. My train arrived an hour later. I found my berth and sat down - the standard passenger chit chat ensued - where I’m from, how long I’ve been in India, etc. The conversation turns to where I’m going - “Fatehpur Sikri” - “Why are you on this train, you could have taken a local train for twenty five rupee” and then “I’m not sure the train stops at Fatehpur Sikri - this train's express, that’s a local stop”. The conductor stops at our berth and I’m able to confirm that yes the train does stop at Fatehpur Sikri (sigh of relief) - no additional information as to how long it will take to reach this stop, where to disembark, there may not be an exit in this car, etc. The ride continued for forty-five minutes - the train stopped and one of the Indian’s in my berth says - “This is Fatehpur Sikri” - “Really, I don’t even see a station, you sure we’re not just stopped?” - “This is Fatehpur Sikri”. I grabbed my bags, bid farewell, and headed for the closest door…and it’s closed. Not too unusual sometimes only one set of doors are opened at the smaller stops - I headed back into the car and made my way to the other exit - there’s a series of obstacles: luggage, old women, etc. and this door was closed as well. I hit full panic mode - if I continued to the next car and the doors are locked I’m in trouble and on my way to the next stop. I decided to head back into my car and head towards the direction the conductor walked thinking he would have opened a door in the next car - I dodge the same set of obstacles but again no luck - at this point I think I’m in trouble but I’ve stumbled into the kitchen car. I see a chef behind a counter and stammer out - “Is this Fatehpur Sikri?” - He raises his shoulders in a questioning motion (either he doesn’t know or doesn’t speak English) but looks at two co-workers who are smoking cigarettes out of an open door. 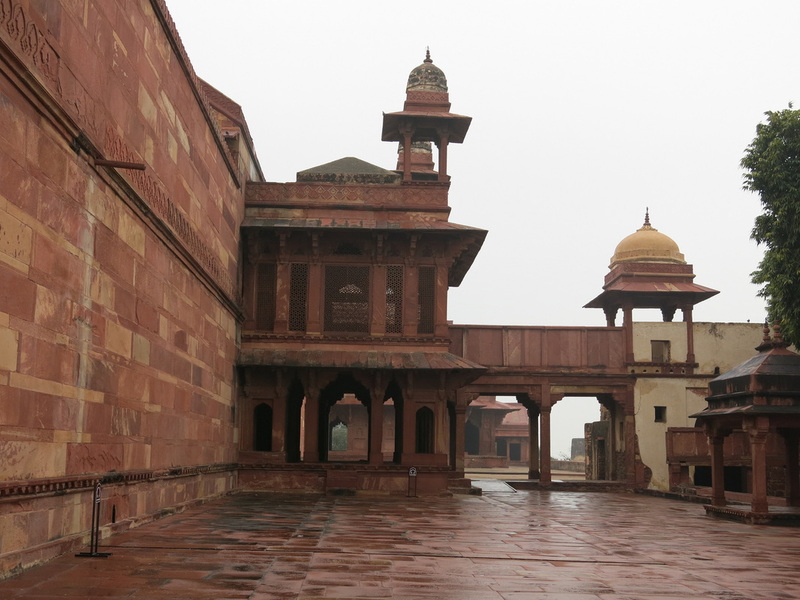 They nod yes and I quickly made my way to the open door to look out - maybe this was Fatehpur Sikri. I leapt…and land with a thud. I looked back and the kitchen car door had moved ahead leaving me behind in thick grass. Once I reached the station sign I was relieved to see it said Fatehpur Sikri.